The impressive Wartburg Castle towers majestically above the city and reflects German history like no other castle. Discover a "World Heritage of Humanity" on a journey through time. Eisenach's cultural calendar is brimming with events. Theater, concert or open air events - you decide. We hope you will find fine entertainment and have a lot of fun. 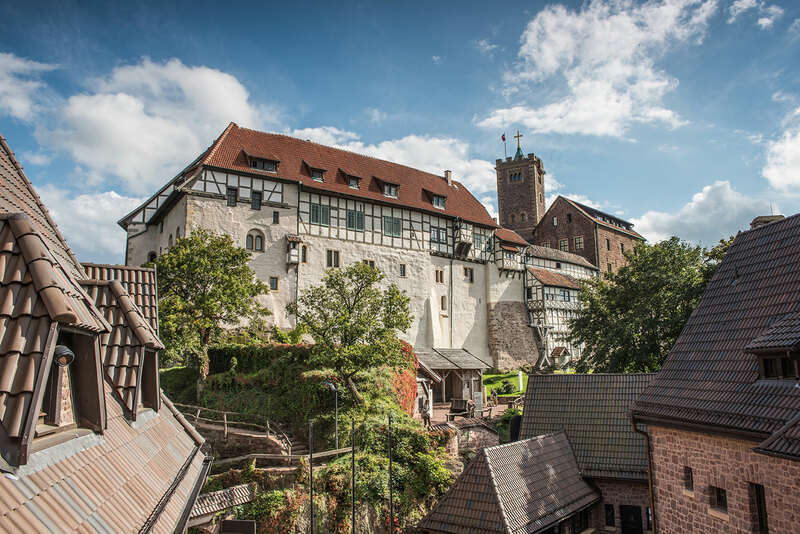 The city at the foot of the Wartburg Castle has been home to world-famous residents and events. The reformer Luther, for example, the composer Bach, but also the first BMW automobile and jazz music have made history here. Immerse yourself in a world before our time. And the present. The fascination of the Wartburg Castle and its history sits enthroned and inviting above the city. The musical experience in the Bachhaus Museum opens up unforgettable worlds of sound. The reformation era is waiting for you in the Lutherhaus Museum. Discover castles and museums. Visit a theater or a concert. The multifaceted cultural offer in and around Eisenach is always worth visiting. Thousand years of German history can be admired in the legendary castle. Listen to the guides telling exciting stories on a tour through the historic building. But the Wartburg also offers all sorts of events. The Wartburg donkeys are a special experience for children. But they are also part of cultural history, because even today, the traditional donkey ride is still an integral part of a family outing to the Wartburg castle. Meet the gray long-eared creatures – as a rider, walking with them or just as a spectator (from Easter to autumn, good weather provided). Explore one of the oldest and most beautiful half-timbered houses in Thuringia in the footsteps of Martin Luther! The heart of the new museum is the multi-award-winning permanent exhibition „Luther and the Bibel”. Johann Sebastian Bach was born on March 21, 1685 in Eisenach. The Bachhaus is one of the largest music museums in Germany. Every hour there is a small concert on five baroque keyboard instruments. Installations such as the “Walkable Composition” turn Bach’s music into a special experience. Cars have been built in Thuringia at foot of the Wartburg Castle for more than 120 years. Under the brand names DIXI, BMW, EMW, IFA, WARTBURG and OPEL they announce Eisenach’s engineering and automotive tradition all over the world. Experience an impressive museum! The Thuringian Museum Eisenach includes the Stadtschloss, the Predigerkirche, the Reuter Wagner Museum and the Tea Room in the Kartausgarten Park. In the Kultur­fabrik Alte Mälzerei (Old Malt House Culture Factory) you can almost still smell the aroma of fresh malt coffee: the building that today is home to the oldest Jazz Club in East Germany and the Jazz archive of the Lippmann + Rau Foundation, which is dedicated to the exciting history of Jazz worldwide, was built as a coffee roasting house in 1873. Fans of art nouveau ornaments, wrought-iron fence gates or impressive variations of oriels will find what they are looking for in the southern quarter of Eisenach: Germany’s largest contiguous villa district presents the most beautiful side of Eisenach. On Eisenach’s Johannisplatz square you can find the possibly narrowest inhabited half-timbered house in Germany with a width of only 2.05 meters. Rescued from planned demolition by a private initiative in the 1970s, it is now a famous sight for guests from near and far with its lovingly restored half-timbered facade. Perched on a hill above the roofs of Eisenach’s villa district and visible from afar, is the Burschenschaftsdenkmal (Student League Monument). The monolithic building with a height of 33 meters is dedicated to those who risked their lives for unity and freedom in Germany in the 19th century. St. Elisabeth of Thuringia, Martin Luther and Johann Sebastian Bach are just as closely connected to the Protestant Mother Church of St. George as Georg Philipp Telemann and Johann Pachelbel. The Church of St. Nicholas, built in 1180, served the people of Eisenach as a parish church and as an abbey for Benedictine nuns. The three-aisled Romanesque basilica with the Nikolaitor Gate dominates Karlsplatz square. The neo-Gothic Church of St. Elisabeth, which was partly built from shell limestone, was consecrated in honor of St. Elizabeth in 1888. The only Catholic Church in the city follows the architectural style of the Church of St. Elisabeth in Marburg. 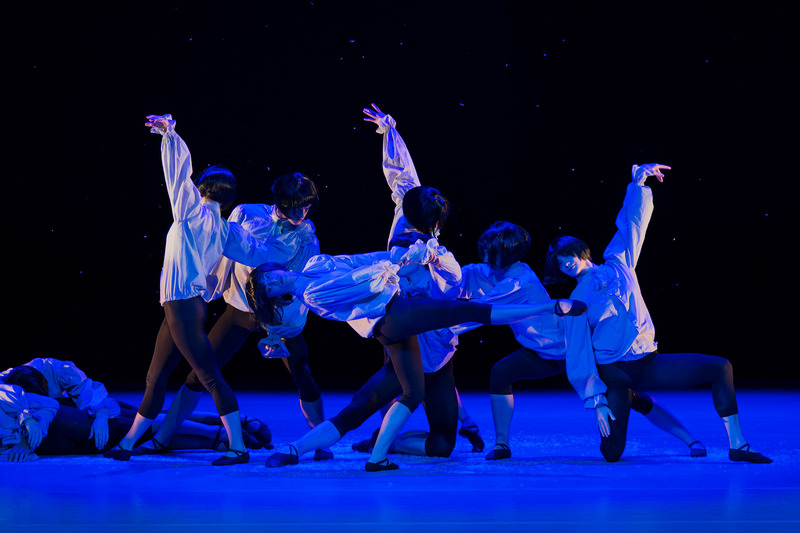 The theater, which was opened in 1879, offers a multifaceted program: from opera, musical, ballet / dance theater, drama, children’s and youth theater, puppet theater, concerts and mobile productions to a variety of guest performances. An innovative wide range of professional and amateur theater acts awaits the visitor in the very heart of Eisenach. The TAM will move you or even change you? In the summer you can see them playing the summer theater in the castle courtyard! The “Little One”, as many regulars lovingly call the Schorschl, has been part of Eisenach’s nightlife for years. In the cabaret-pub, where everything revolves around music, theater and a few other things, there are almost always pictures of local artists hanging on the walls and they have cabaret or live music performances several times a month. The Jazz Club Eisenach, founded in January 1959, is the oldest East German Jazz Club and is also one of the oldest clubs in the Federal Republic. The musical spectrum, offered here weekly in the quaint jazz cellar, ranges from jazz to blues to rock and folk.